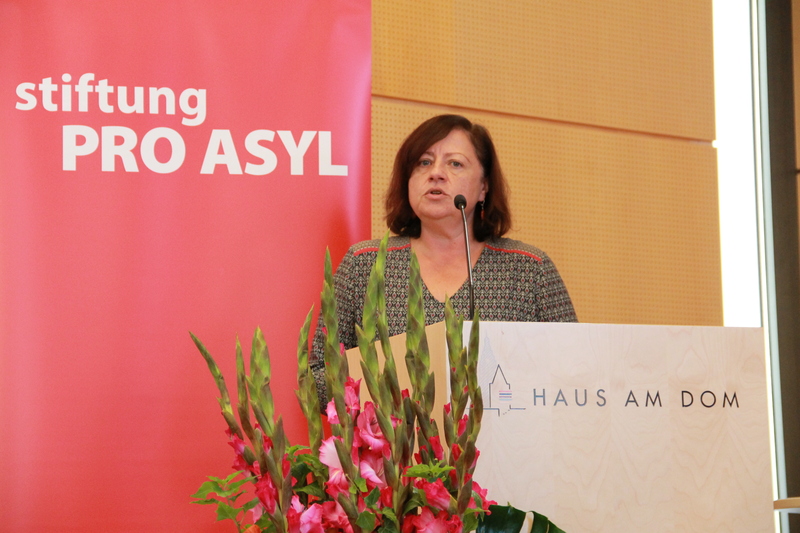 Today, the PRO ASYL Foun­da­ti­on hono­red the work of the Hun­ga­ri­an Hel­sin­ki Com­mit­tee (HHC), awar­ding its co-chairs Már­ta Par­da­vi and András Kádár the Human Rights Award 2018. 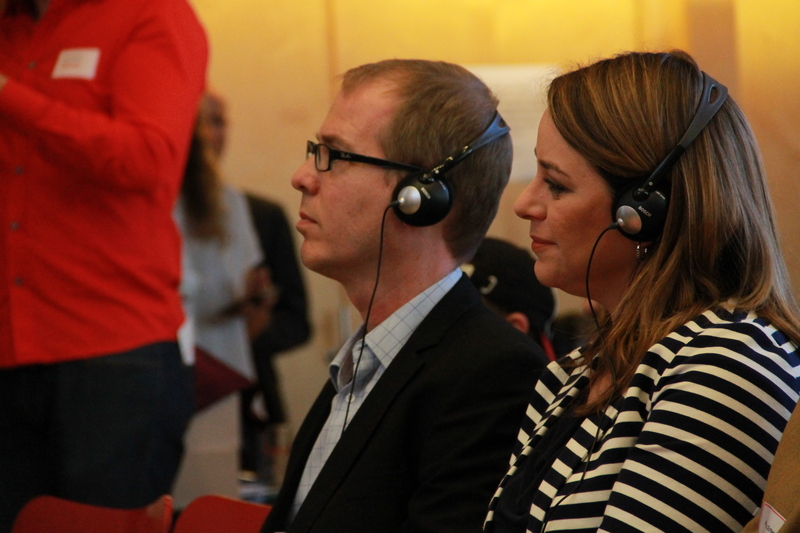 The cere­mo­ny with more than 180 guests took place at the »Haus am Dom« in Frank­furt. The HHC is one of the most important civil rights orga­ni­za­ti­ons in Hun­ga­ry advo­ca­ting human and refu­gees’ rights and uphol­ding the rule of law. 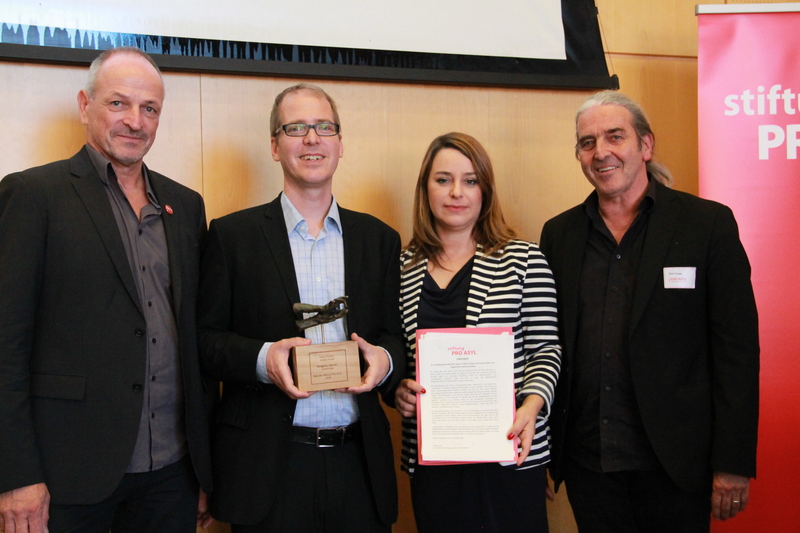 The Human Rights Award of the PRO ASYL foun­da­ti­on is of gre­at impor­t­an­ce in the wake of the upco­m­ing deba­te in the European Par­li­a­ment about the imple­men­ta­ti­on of the core values of the European Uni­on. On the 11th and 12th of Sep­tem­ber, Mem­bers of the EP will deba­te on whe­ther to take action and vote yes to prompt EU action against Hun­ga­ry accord­ing to the Arti­cle 7 of the European Trea­ties. »The Hun­ga­ri­an government poli­ti­ci­zes the work of the Con­sti­tu­tio­nal Court, curtails its powers and increa­singly under­mi­nes the inde­pen­dence of the judi­cia­ry and the press. Tigh­te­ned laws have been crea­ted to restrict the space for civil socie­ty activism and attack the soci­al spi­rit«,the Com­mis­sio­ner for Human Rights Poli­cy and Huma­ni­ta­ri­an Aid, Dr. Bär­ber Kof­ler sta­ted. »Stan­ding up for the rights of refu­gees and the pro­tec­tion of the rule of law in such a frau­ght atmo­s­phe­re is some­thing which deser­ves our utmost respect«, said Kof­ler. Despi­te the increa­sing thre­at and the attempts of the Hun­ga­ri­an government to cri­mi­na­li­ze orga­ni­sa­ti­ons for civil rights, the HHC stands strong. For instan­ce, as a result of the inter­ven­ti­on of the HHC, all asyl­um see­kers in the tran­sit zones are recei­ving food again. The HHC had to request inte­rim mea­su­res from the European Court of Human Rights (ECtHR) on a case-by-case basis for two weeks to ensu­re that aut­ho­ri­ties pro­vi­de food to detai­ned asyl­um see­kers who­se claims were found inad­mis­si­ble. In all cases the ECtHR gran­ted the requests and orde­red the Hun­ga­ri­an government to pro­vi­de food to the eight affec­ted per­sons. 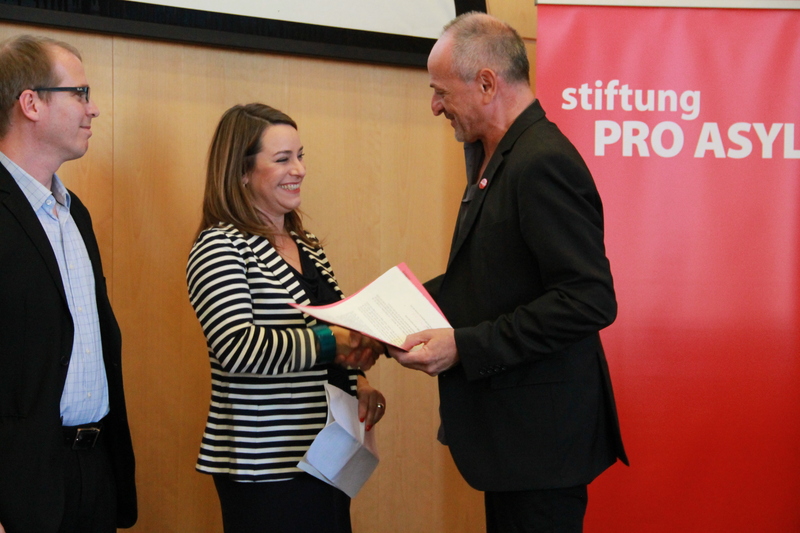 With the annu­al Human Rights Award, the PRO ASYL Foun­da­ti­on encou­ra­ges and honors public figu­res who have been pro­mi­nent in defen­ding human rights and pro­tec­ting refu­gees. PRO ASYL-Vor­sit­zen­der Andre­as Lipsch über­reicht Már­ta Par­da­vi und András Kádár die Urkun­de der Stif­tung PRO ASYL zum Men­schen­rechts­preis 2018. Már­ta Par­da­vi und András Kádár bei der Preis­ver­lei­hung. Von links: Andre­as Lipsch, Már­ta Par­da­vi, András Kádár und Karl Kopp, Euro­pa-Refe­rent von PRO ASYL. Men­schen­rechts­be­auf­trag­te der Bun­des­re­gie­rung, Dr. Bär­bel Kof­ler war Lau­da­to­rin bei der dies­jäh­ri­gen Preis­ver­lei­hung des Men­schen­rechts­prei­ses der Stif­tung PRO ASYL. 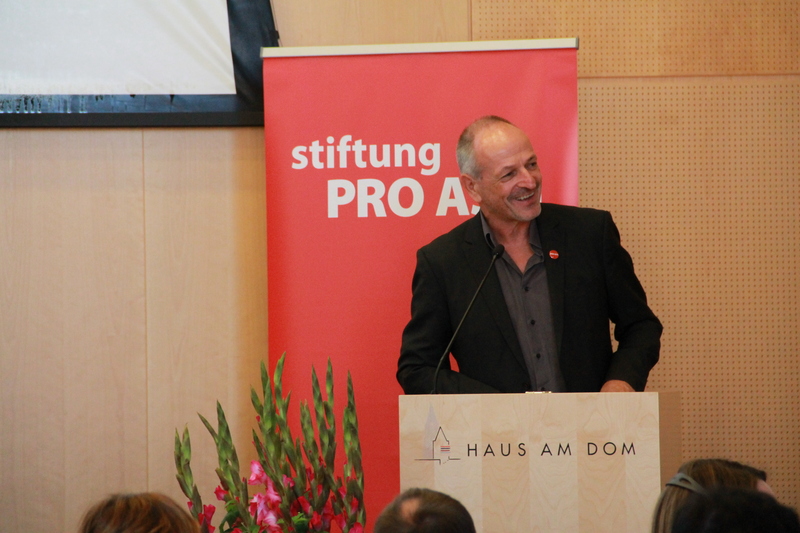 PRO ASYL-Vor­sit­zen­der Andre­as Lipsch bei der Preis­ver­lei­hung.